Sánchez was off to a great start at the plate with a .268 average, 6 home runs, and 11 RBI in 11 games. 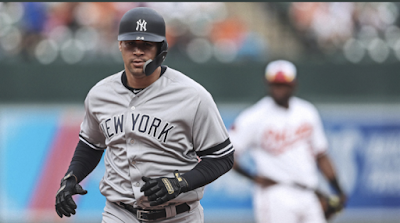 He is the 12th Yankee to be on the injured list this season, which will further test their depth. In this case, though, unlike when they lost Miguel Andujar at third base or Giancarlo Stanton in left field, Sanchez's replacement is not hard to find. The Yankees called up Kyle Higashioka from Triple-A Scranton/Wilkes-Barre to take Sanchez's spot on the roster. Higashioka made his major league debut in 2017. His first major league start was a historic one on April 12, 2017 against Tampa Bay when he caught Jordan Montgomery's major-league debut. The duo became the first battery to each make their first Major League starts since pitcher Jorge De Paula and catcher Michel Hernandez on September 26, 2003 in the second game of a doubleheader against Baltimore.